I do love a shop name with a pun. Felt Me Up is my favourite of 2013. I warn you now, if you're not a fan of all things twee and adorable then move along, go and look at dinosaur cookie cutters and skeleton mugs, there's nothing for you here. The rest of us? 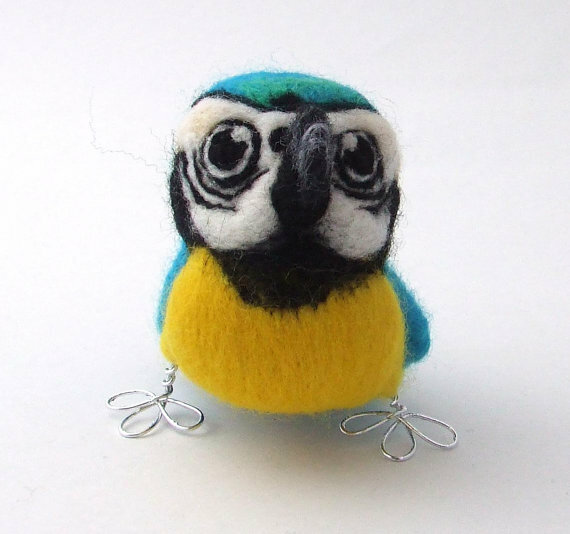 We're going to look at adorable little birds made from felt. JUST LOOK AT HIM. He'd melt even the hardest soul into a puddle. I love him. 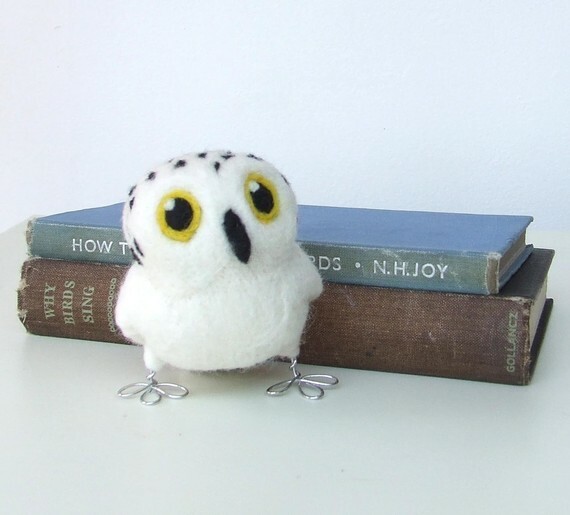 Mr Snowy Owl is beyond cute. 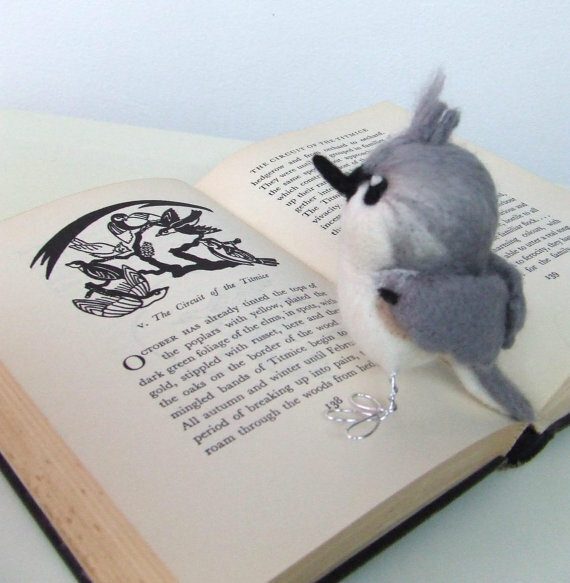 Awww, little tufty bird is being educated. 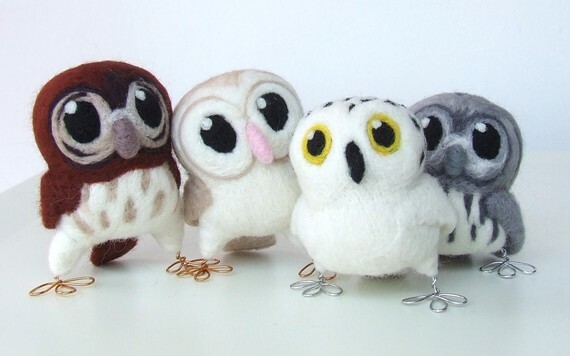 Owl baby! Scruffy owl baby! My twee levels are through the roof right now. STOP THE CUTENESS. 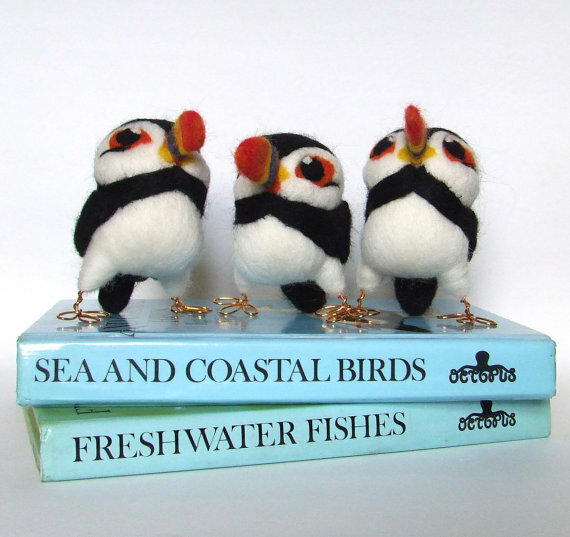 Puffins rock. It's their colourful beaks that do it. Crested cocktoos! These just keep getting cuter. This gold macaw is so lovely. Definitely the most handsome of the bunch. 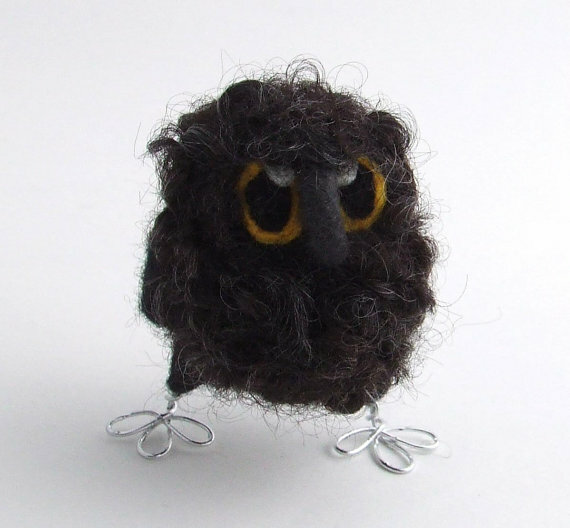 Prices start at £14 and go up to around £25 for the more fancy birds. He's so lovely. I want a little desk aviary. Look at their big eyes! I've just died of cute. 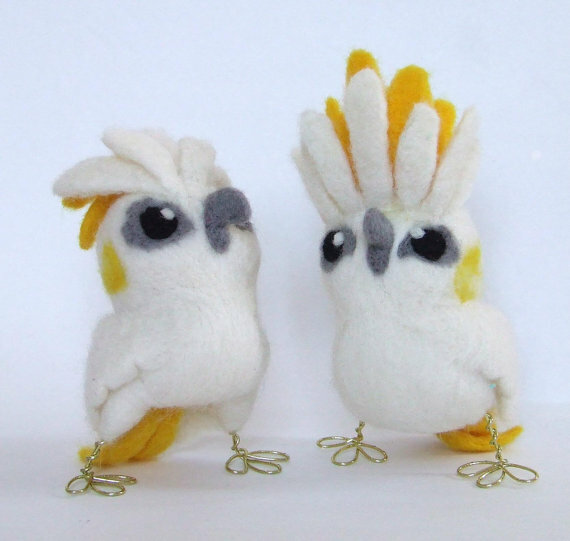 I love my Felty birds. I have five already and I want more! They're super cute.